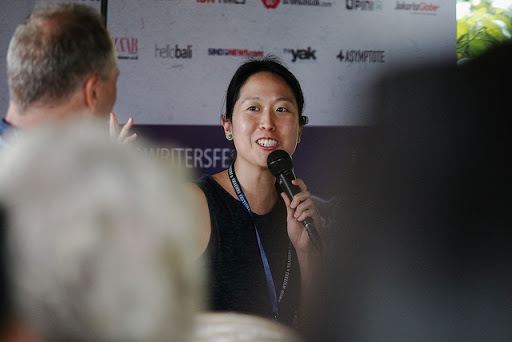 In our second special edition of the eBook Revolution – from the 2018 Ubud Writers and Readers Festival – we talk to lover of words and creator of worlds, author Tiffany Tsao. Tiffany was invited to speak on the panel Serial Storytellers at the Ubud Writers and Readers Festival. Her series The Oddfits and The More Known World reveal a writer comfortable with the conjouring of fantastical worlds. In the podcast Tiffany speaks about the art and craft of writing, her inspirations for books like Under Your Wings and The Oddfits and her approach to fantasy world creation. How it gets easier writing novels after your first one. 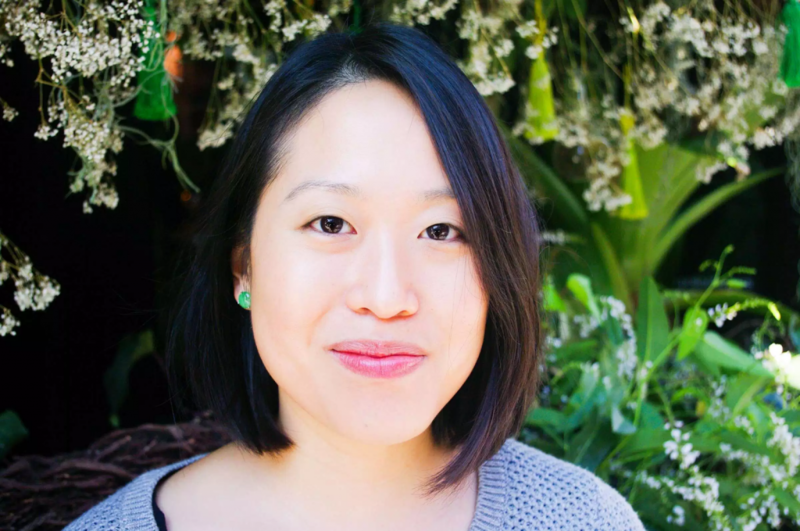 Tiffany Tsao is a writer and translator, author of the novel Under Your Wings and the Oddfits fantasy series. Her translations (from Indonesian to English) include Dee Lestari’s novel Paper Boats, Laksmi Pamuntjak’s The Birdwoman’s Palate, and Norman Erikson Pasaribu’s poetry. She received her Ph.D. in English from UC-Berkeley in 2009 and now lives in Sydney, Australia with her spouse and two children. You can visit Tiffany Tsao’s authors website here. Tiffany Tsao. 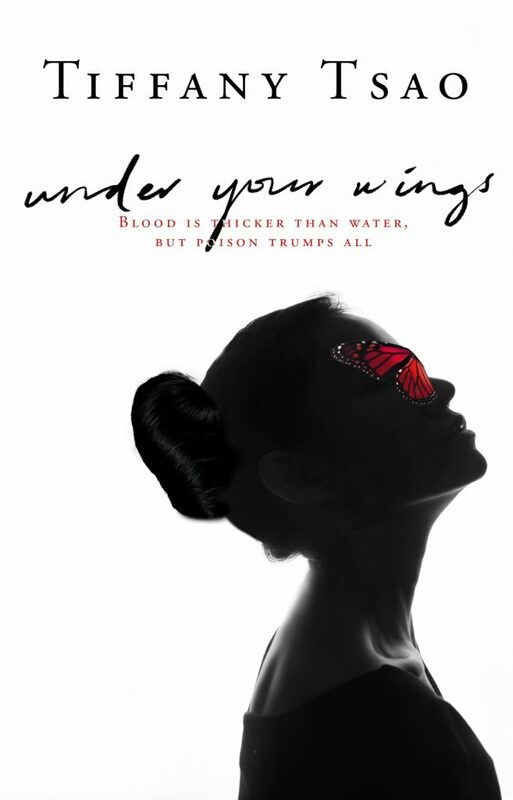 Thanks for joining me on the eBook Revolution Podcast and congratulations on Under Your Wings. Does it get any easier writing novels after your first one? It does, actually and I think partly it’s because with the first novel you don’t know if you’re just writing in vain. I remember my first novel took about eight years to write – and not just writing continuously because you take it out, you look at it, you work on it, you get really excited and then you kind of think, “well, what’s the point, this might not ever get published?” – and you put it back. So I think you also just have the time and space to write more efficiently because what’s the rush you know? With fiction you don’t need a full manuscript for the publisher to publish it, you know, or before an agent will look at it. So, there is something to that uncertainty I think that can make it difficult to write the first novel. Then I found by my second and third novel – “The More Known World” – is the second novel, which is the sequel to “The Oddfits” and then “Under Your Wings” as a stand alone novel – I think I had much more of a pattern. I knew how to work efficiently. I’ve done it before, so I sort of knew what to avoid and I had a better sense of my voice. I’m the kind of person who has to map out everything and then write and I do really badly if I don’t know the end of what I’m writing. So you’re a plotter not a pantser? Yes, definitely a plotter. No flying by the seat of my pants! I’m rather retentive when it comes to that actually. Did you intend The Oddfits to become a series? Is there going to be more of them? There’s going to be one more so it will become a trilogy. I did actually. I’d written it with the sequel in mind, but also because it’s the first book and because I was uncertain whether it would even find a publisher at all. It’s quite quirky, it’s between genres and so as a result I knew that it had to be sort of satisfying as a standalone, but I wanted to have room for more growth. Funnily enough, though, a lot of people said, “yeah, you really wrote it, you know, it’s a cliffhanger” and I was like, “Oh, really? I thought I wrapped it up rather well!”. It turns out that people wanted to know more about the ‘More Known World’, you know, just the fantastical realm in it, than I had anticipated. Well, they obviously love that world that you’ve created. Yeah. It’s been really gratifying, actually. What’s your secret to world creation? How do you conjour that up? Usually I tend to start with one or two characteristics that I think would be intriguing about the world and then I sort of build around that. So for example, in the ‘More Known World’, the territory of Cambodia-Abscond is soaked in blood, and no one knows why. So it was just interesting to think about the redness of it, what kind of fauna would be there? What kind of mosquito based lifeforms thrive there? What kind of flora would be there? Then even the history about it. When did it turn red it, you know? So that was really fun. So, yeah, I tend to start with the point and then build around that. 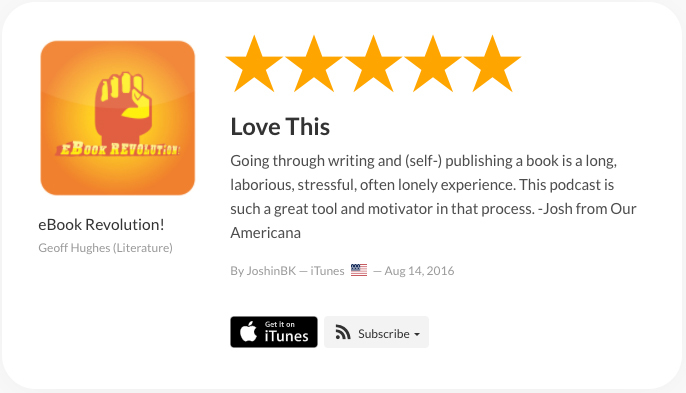 I read a review of The More Known World that said “If you love words, you’ll love this…” When did your love of words begin? I know you’re a translator. I think this is almost cliche, right? Writers always say, “Oh, yeah. I’ve always loved to read or love to write”. When I was little, I used to always make these really silly little stories and illustrate them and bind them with staples, a bit like the Brontes, but obviously I’m not really making that comparison, but yeah, I think it’s just something that I’ve always known growing up and then when I went to university I was planning to double major in English literature and entomology and then I realized that I’ve gone for some reason to a college which didn’t have entomology. I hadn’t done any research to know that you can just major in anything you wanted at any university. So then I just ended up just doing English literature. What was your path to becoming an author? Can you remember the moment when you decided this was the path you wanted to take? For a long time, my main objective was to become an academic – and I was but not one with a continuing position. I joke that I only really succeeded as a novelist when I failed as an academic and that just happened to be actually coincidence. When I decided to leave it was more because of the working conditions and I’d been writing a novel all that time on and off, but I wouldn’t have called myself a novelist. I just thought, Oh, you know, if it takes off fine, if I can find a publisher, fine, but it was always sort of on the side but then when I decided to leave academia, it was really funny, because that was when my agent said, “Oh, we actually have interest in your manuscript”. I’d sort of given up hope, actually, that’s the reason why I began writing Under Your Wings, because she said very nicely, “maybe you should continue writing things”, which I felt was, you know, the polite agents way of saying, “we might not sell it”, but she said, “No, no, no, no, don’t worry, we’ll sell it, but we’ll find a publisher but, you know, in the meantime, you should just keep writing really”. So that came as a surprise and that was around the time when I was also scrambling and applying for other jobs to do after I left academia, like editing jobs and things like that. I’ve asked this question most writers I’ve interviewed because it fascinates me. Do you have a writing ritual? No, I am the mother of two small children and I write whenever I have time, in any location under any conditions. My desk is very unsexy for a writer, it is in a closet and it faces a wall and then when the kids are in the house and my spouse has agreed to take care of them while I can write I just duck out to the nearest coffee shop and write there. Sorry, no writing ritual. As a young and unpublished writer was what was the best advice you received? See, I’m not sure if I’m just romanticizing or imagining the best advice I received. I learned quite a lot from a writing professor I had as an undergraduate in my first year – and it was just a class on writing essays – not writing fiction, but he encouraged us to make drafts and I remember him saying, “whatever you write doesn’t go to waste”. and I think that’s really important that even if you’re writing what you think at the time is absolute crap, keep writing because there’s something to the process and it’s like exercising. We don’t give ourselves enough license (as writers) in the same way an athlete does. Like, if an athlete is practicing, they’re practicing, right? But we think that everything we write, you know, it has to be really good and if it’s not, then somehow it’s trash but I think it’s also good if it somehow contributed to the end product. What advice would you give to new writers struggling to get their voices heard? It’s really hard. I would just say write and keep trying to get your voice heard because you love writing and because you’ve got the idea of getting your voice heard, even if it may never happen. I mean that that’s really hard to hear but sometimes on the other end now, it seems almost arbitrary – sometimes not completely arbitrary, but I know that there’s a lot of stuff that gets published that might not be as good as stuff that doesn’t get published. I think that does happen and I don’t think that finding a publisher means necessarily that you’re better than other people who have written and haven’t found a publisher, so I try and be like; “…there, but for Fortune…”, right? I think I was just very fortunate. So I don’t know, I mean, to tie your self worth up in writing? Just write because you love it is really hard advice to take. I think you have to love writing to sit down and plant yourself in that lonely place and actually complete something. Yeah, and to complete something that’s really hard to do. That’s what you’ve done. And thank you for the words you’ve completed. It’s a good place to wrap it up, so Tiffany, thank you for joining us on the podcast.